Congratulations to Washington students and teachers for completing another school year! And special congratulations to the Class of 2018! 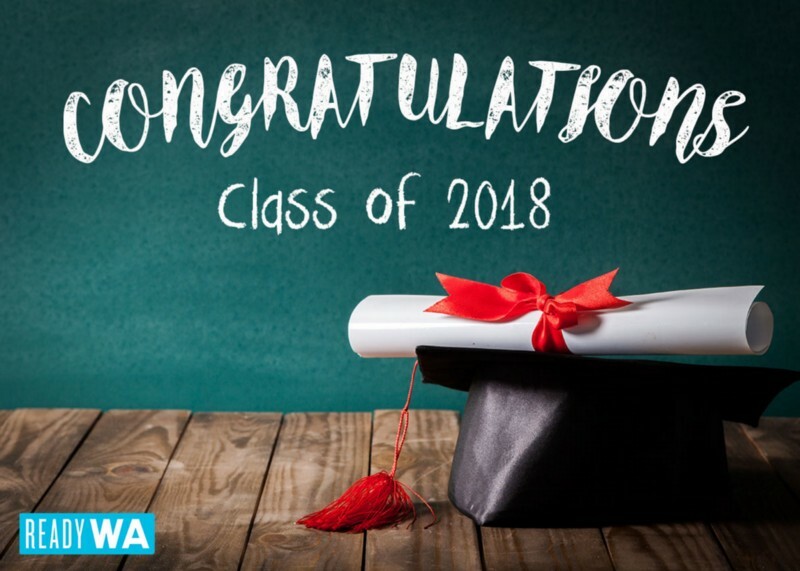 Whether you are graduating from high school or a postsecondary institution or program, you should be incredibly proud of all your hard work and success. Well done! As summer begins, the Ready Washington coalition is reflecting on the past year of work together. We are excited to share some highlights with you! 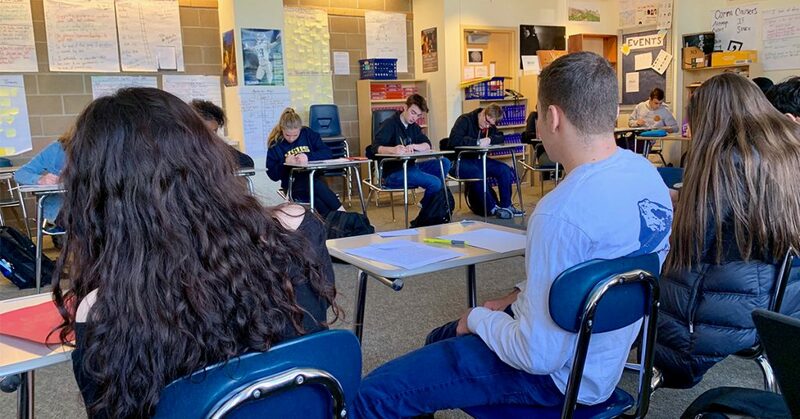 The Ready Washington coalition seeks to build awareness, understanding, and support for college and career ready learning standards and assessments, and how they help students prepare for success after high school. During the 2017–2018 school year, that mission has taken many forms as we connect with students, parents, teachers, administrators, and advocates. Watch all the Ready Washington videos at ReadyWA.org/Videos. Ready Washington concluded its second parent engagement project with two middle schools in Bothell and Tukwila. The project included a workshop in Spanish for parents about the High School and Beyond Plan, as well as a family engagement training for educators. We finished the project with a bilingual coalition meetingfeaturing parents and teachers who participated in the project. Ready Washington held its third “Opt In for Student Success” contest in early 2018 to amplify student voice in support of assessments and career and college readiness. As in years past, Washington public high school students uploaded a 30-second video to social media in which they voiced why they “opt in for a better education.” Ready Washington announced the winners of the contest on March 30th, and many of the students are featured in this Buzzfeed list. Ready Washington and Puget Sound Educational Service District partnered in late 2015 to build a statewide teacher voices network called CORElaborate WA. 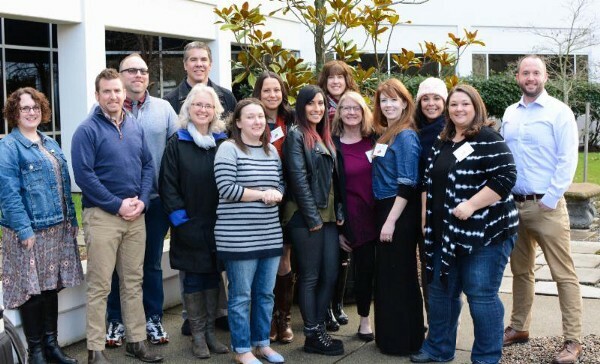 The 2018 cadre includes bloggers and tweeters representing 8 of the state’s 9 ESDs. Since March, teacher blog posts and Twitter chats have reached more than 300,000 people. Follow the conversation on Twitter using the hashtag #WATeachLead. And read all the latest blog posts at CORElaborateWA.org. 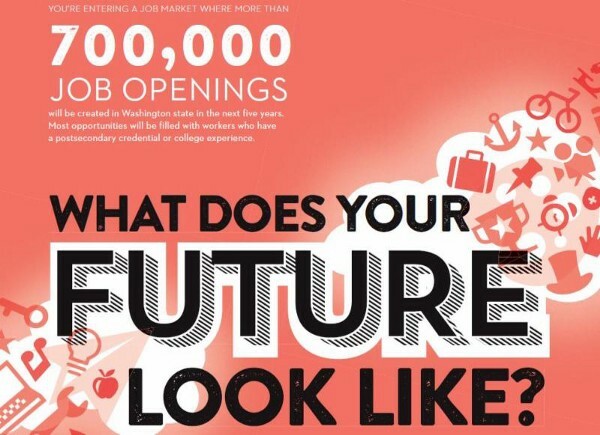 To spark students’ thinking about their future career paths, Ready Washington released this poster, mailing it to all middle schools, high schools, and skills centers around the state. We continue to receive requests from schools for the posters. If you are interested in new posters to decorate the halls of your school next year, let us know, and we would be happy to mail them to you. You can also download the digital version by clicking here. In preparation for the 2017–2018 school year, Ready Washington released an updated Back to School one-pager for students and families. 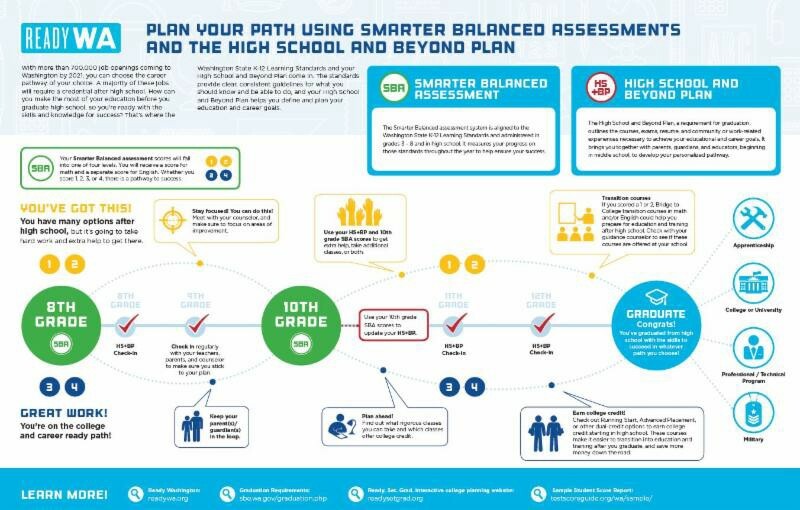 Available in 16 languages, this flyer provides high-level information about Washington’s K-12 learning standards and Smarter Balanced assessments. Check out this Medium post for more info. Ready Washington concluded its second parent engagement project with two middle schools in Bothell and Tukwila. 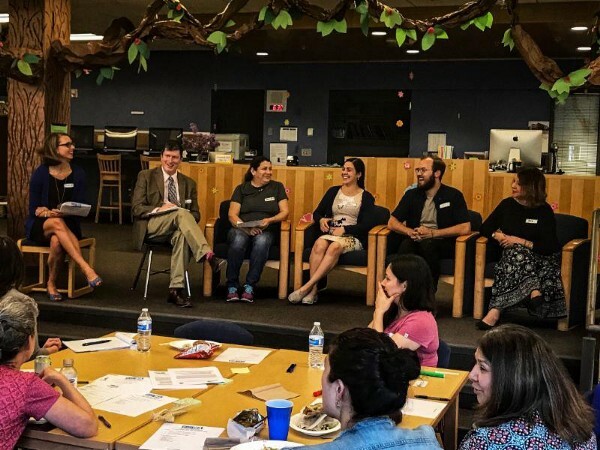 The project included a workshop in Spanish for parents about the High School and Beyond Plan, as well as a family engagement training for educators. We finished the project with a bilingual coalition meeting featuring parents and teachers who participated in the project. Ready Washington used Medium to produce 23 blog posts during the school year. Among the posts were guest posts from Washington teachers, two Classroom Snapshots (inside accounts of what teachers and students cover in a day), and a post in Spanish highlighting parent voices. If you haven’t already, please subscribe to get all future updates! 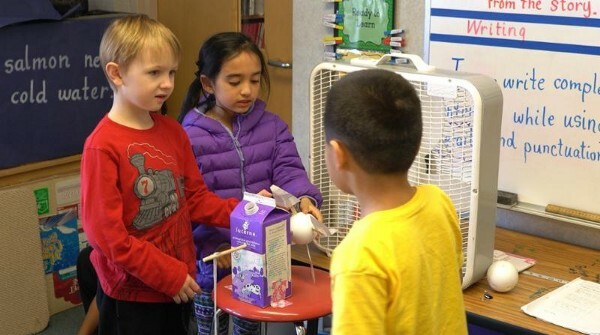 In partnership with the State Board of Education, OSPI, and Washington STEM, Ready Washington launched a spring campaign to highlight the value of the Washington State Science Learning Standards and the aligned assessment that rolled out statewide in Spring 2018. The standards are designed to make science education accessible and relevant to all students, engaging them in hands-on technology and engineering practices. The campaign included a video, guest blog posts from teachers (here and here), and digital content. To learn more about the campaign, check out this Twitter Moment. Ready Washington exists because of the support from teachers, parents, students, administrators, advocates, and our partners. We are grateful for the opportunity to work together so every Washington student is prepared to pursue the pathway of their choice after high school. Thank you for your support this year, and enjoy your summer!